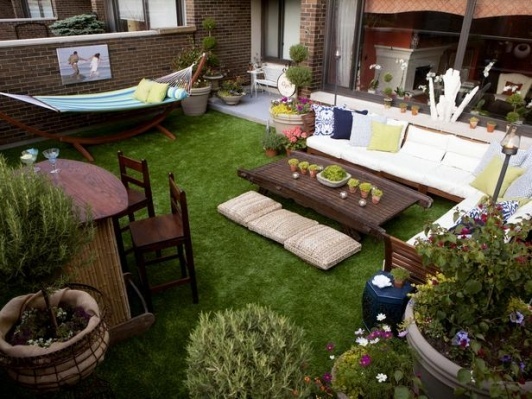 I felt so ecstatic after seeing this backyard patio design. Really cool and awesome! I just wonder how it feels to be in this kind of spot in your backyard. So relaxing! I love the fact that everything was incorporated in this design. A place to dine, a place to chat and a small corner for self relaxation. Plants are minimal and neatly arranged. I love to see a hammock in my yard. It's a cool way to have a nap in the afternoon. Love those throw pillows, too. What do you think of this overall set up?